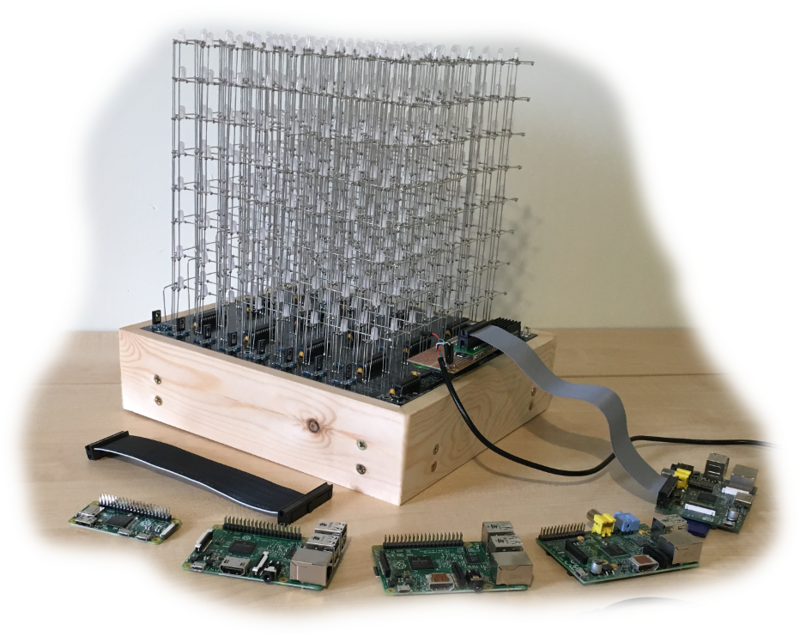 piCube is software for driving an 8x8x8 RGB LED cube connected to a Raspberry Pi via the standard GPIO pins. It runs under Linux and works with all models of the Pi - right from the first Model B that was released up to the recent Pi Zero. piCube will run on the standard Raspbian software image. However, to achieve stable refresh times a kernel with the RT Pre-empt patch should be used. The installation instructions show how to install a pre-compiled version of the patched kernel. piCube includes all of the animations from Doug Domke's chipKit Software as well as an example script which runs his Super Big Show. Most animations have also been ported to Jim scripts so there are plenty of examples to use as inspiration. piCube has an interactive shell based on Jim TCL. This allows for experimentation and rapid development of new animations. To connect the Pi to the cube you'll need some male-to-female jumper wires. Although there are a number of real-time operating systems available for the Pi such as ChibiOS/RT and FreeRTOS, I wanted to see if I could connect my cube to a general purpose Pi running Linux. 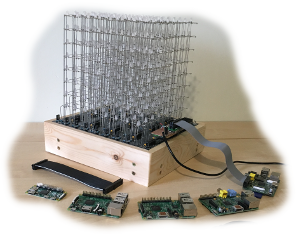 The Pi can then be used to do other tasks at the same time and even integrate devices such as a weather station with a local cube display.